Fiber-Mart offer a selection of Fiber Testers & Tools to fit any fiber optic cable lineman or powerline worker jobs. 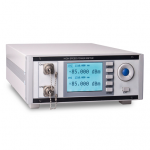 We stock top high quality Test Equipment for the communications applications. 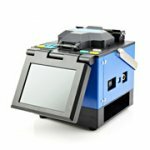 In the fiber optic installation and maintenance works, Optical Power Meters, Fiber Light Sources, Fiber Scopes and OTDR are commonly used for fiber optic testing. And Splicing fiber tools, termination tool kits and cleaning tools, like strippers, cable cutters, splice protective sleeves help work easier. We not only provide well-known brands such as CLETOP, EXFO, Noyes, AFL and many more, but also offer innovative, high quality products to lower costs.